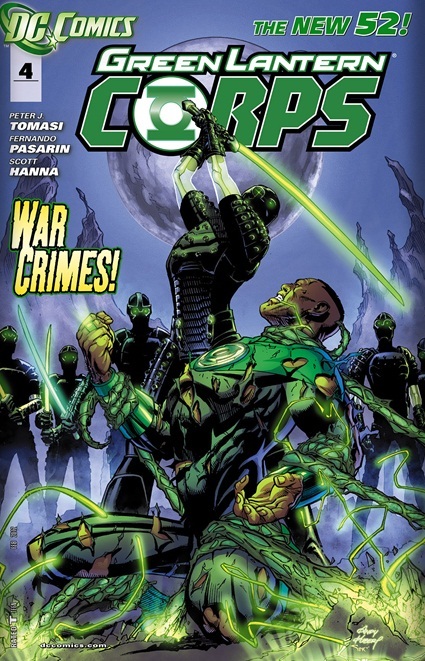 On Planet Xabas five abandoned lanterns including John Stewart of earth are overwhelmed by their mysterious attackers who take them captive and kills one of them to make a point that they are not to be trifled with. The captors then take their prisoners to their desolate planet. 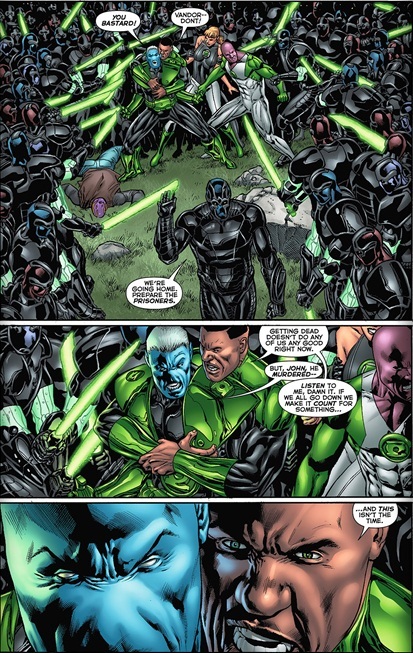 On Oa Guy Gardner interrogates their prisoner but gets no answers. 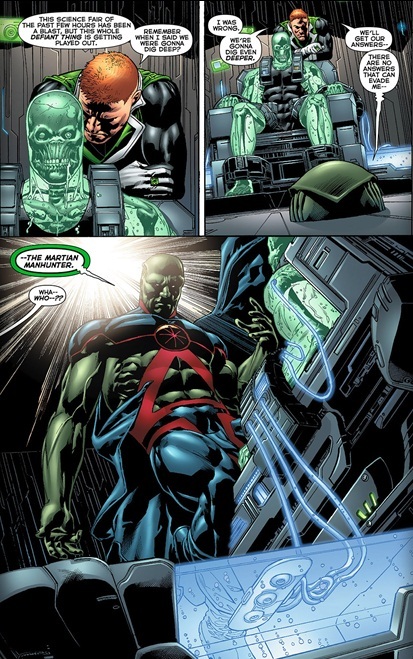 Martian Manhunter luckily assists him and reveals that they are the one time keepers of the miniature power batteries and that they are headed to OA for the central power battery. Story- This war with the Keepers makes for a very exciting and action packed story. The revelation that the Guardians have yet another secret…which is now threatening to destroy the corps comes out of left field. These little blue men have been around so long they can’t be trusted in any capacity. The keepers create and keep the miniature power batteries of the corps for years. Recently the Guardians made the “keeping” of the lanterns the job of their Green Lantern corps members so now we have an entire race out of a job and now hell bent on revenge. Peter Tomasi sign me up brother man I’m hooked! Characterization- John was the soldier he typically is along with the natural born leader. To protect his unit he quickly surrenders and tries his utmost to keep them all alive after one member is killed to make a point, soldier boy is as compassionate as ever! Hannu of the lost lanterns is furious at himself for leaving fellow Lanterns behind. This is spot on since he is one of the “lost lanterns” who was left to die when Hal became parallax and later imprisoned on the manhunter planet. He knows what it’s like to be abandoned and feels it most of all for leaving his friends behind even though he had no control over it. Art- Somebody give Fernando Pasarin a raise! Consistently great art in every issue, never missing a beat! Take note Uncanny X-men this is the kind of artist you should be using instead of so many “helpers/fillers” if the artist can’t make a deadline time to find a new artist!